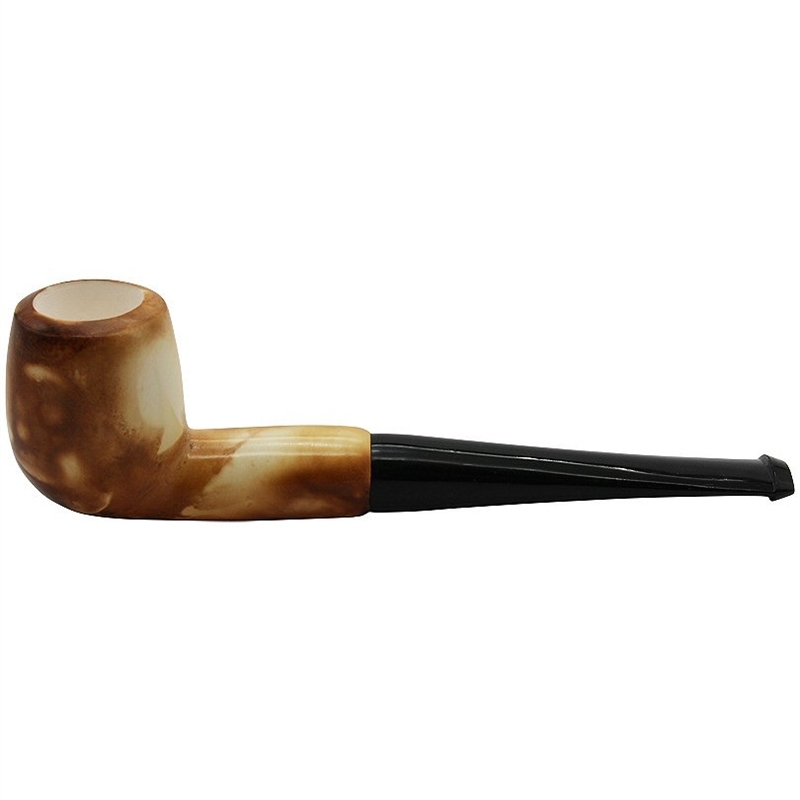 Hand Carved Colored Billiard Meerschaum Pipe - Smooth finished billiard pipe bowl pipe is colored in rich shades of brown in an abstract pattern. The long shank attaches to a solid black tapered straight stem. 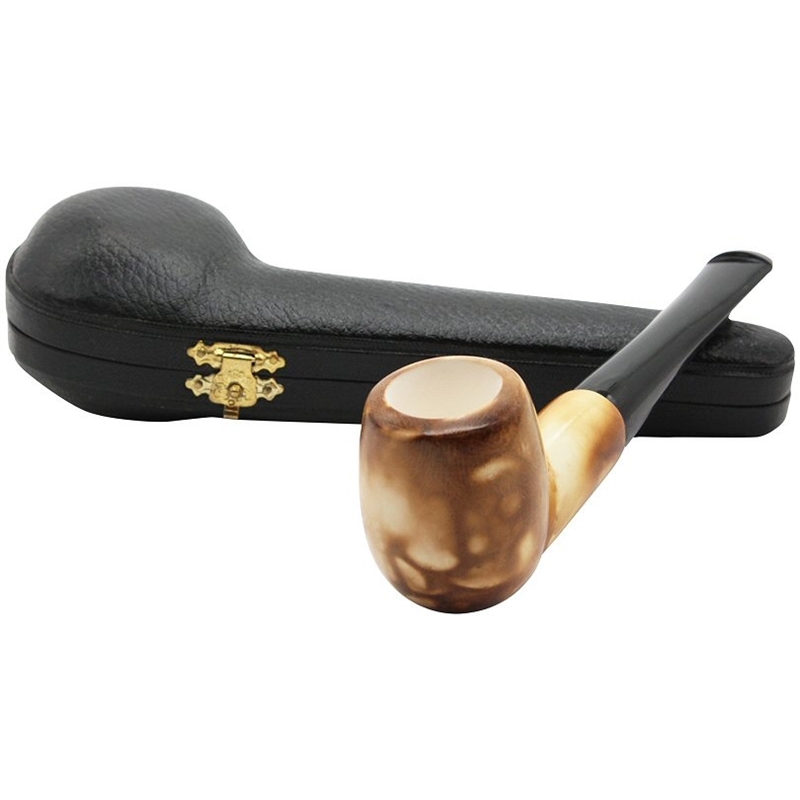 Quite a handsome looking pre-colored pipe!